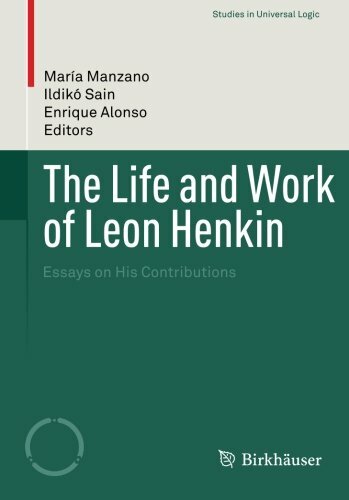 This is a comprehensive book on the life and works of Leon Henkin (1921–2006), an extraordinary scientist and excellent teacher whose writings became influential right from the beginning of his career with his doctoral thesis on “The completeness of formal systems” under the direction of Alonzo Church. Upon the invitation of Alfred Tarski, Henkin joined the Group in Logic and the Methodology of Science in the Department of Mathematics at the University of California Berkeley in 1953. He stayed with the group until his retirement in 1991. This edited volume includes both foundational material and a logic perspective. Algebraic logic, model theory, type theory, completeness theorems, philosophical and foundational studies are among the topics covered, as well as mathematical education. The work discusses Henkin’s intellectual development, his relation to his predecessors and contemporaries and his impact on the recent development of mathematical logic. It offers a valuable reference work for researchers and students in the fields of philosophy, mathematics and computer science.